Green Signs is an Award Winning Design company that serves all types of businesses Nationwide. We not only offer traditional signage, we also provide many custom options including electronic message centers(EMC), vinyl graphics for both indoor and outdoor, vehicle graphics, awnings, and logo design. Green Signs can also provide you with new branding solutions as well as repair and maintain the existing signage and lighting that you have. With our OSHA trained technicians and all the equipment needed we can ensure that the installation or repair of your sign(s) and lighting is done safely and efficiently. What makes Green Signs different? 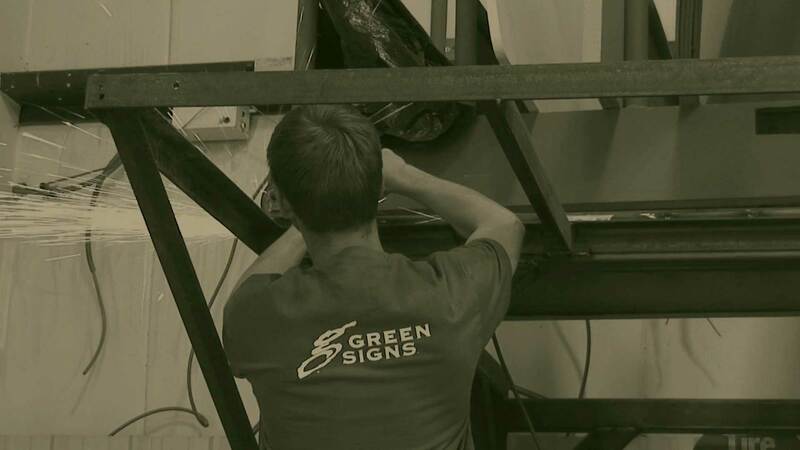 At Green Signs, we have created success for our clients SINCE 1971. We specialize in permitting, design, engineering, manufacturing, and installation. Our standardized process allows us to produce custom products for our customers. We can provide a portfolio of previous projects allowing us to share this valuable information with you. Let us help you create and/or maintain your brand.